It can take a while to gather your bearings at a ski resort as large as Big White. I have recently completed my second season living and working at Big White, and I can safely say I have skied every inch of this mountain. 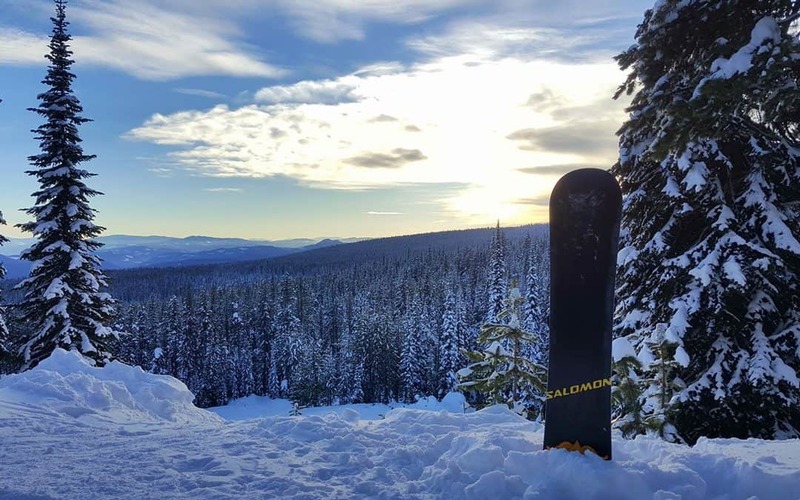 This guide will help you to plan your day no matter the weather, so you can have the best possible experience at Big White! Here are the best Big White ski runs for every level and condition. If you’ve never been on skis or a snowboard before, it is worth investing in a lesson to learn the basics. Beginner lessons are held at the Magic Carpet in Happy Valley, and all beginners are welcome there. If you have mastered the Magic Carpet and want to try going up the chairlift, you will want to start on the Plaza chair. There are a couple of short green runs off this chair, but the Hummingbird run is a good run to start with. Big White has a fantastic lift pass for beginners that will give you access to the Magic Carpet and Plaza chair for only $25 (plus GST). You can also upgrade to a full mountain ticket by paying the difference. If you are new to glade skiing, Black Forest is the best area to learn. For intermediate skiers, Powder Chair has some good trees to the left of the lift line. For the more experienced and brave skiers, head over to Gem Lake. I recommend trying the Thunder Glades, which start fairly spaced out and gradually become tighter. As a general rule the west side of the mountain (Gem Lake Express, Powder Chair, Falcon Chair) is suited to intermediate/advanced skiers and snowboarders due to the number of blue through to double black runs. However, if you want the room to practice your Tamedog, the place to be is Telus Park. For speed demons, Telus Park boasts a Boarder/Ski-Cross course. There are also plenty of rails and combinations for beginners right through to advanced skiers and snowboarders. Big White’s summit is at the top of the Alpine T-bar. If you make it to the top, you will be standing at a whopping 2,319m (7,606 ft)! Make sure you take a victory selfie when you get to the top! As the name suggests, Big White does have the occasional big white out during heavy snowfall. So when visibility is limited, act like a local and head to Black Forest. Black Forest has fantastic glade skiing which is great for beginners, particularly the area between Cougar Alley and Whiskey Jack. Having landmarks to identify with, such as trees, gives you good definition and depth perception. Are you skiing in a group of mixed abilities? Or maybe you want to throw yourself over some natural kickers, zip through the trees and ride down some groomers. The Ridge Rocket Express and Snow Ghost Express offer a great variety of wide, green runs, easy and challenging blues through to black mogul runs. What’s your favourite ski run at Big White Ski Resort? Comment it below! Solo female traveller, accidental adventurist, digital nomad, travel expert. Follow me on my adventures as I take on the world.